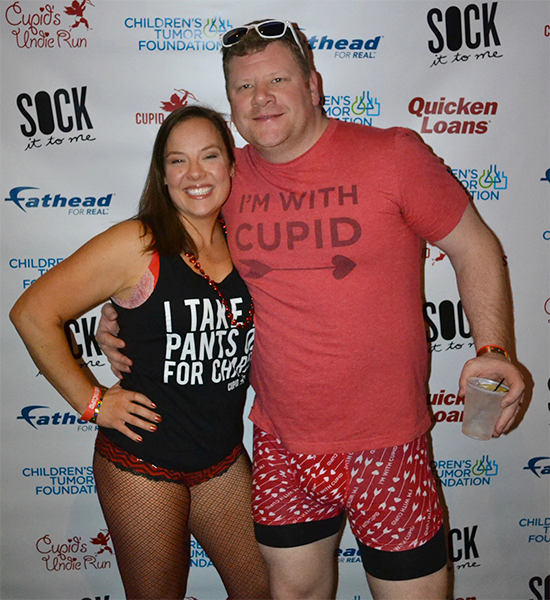 It’s no secret that we’re dropping pants for a cause, but how much do you know about neurofibromatosis (NF)? 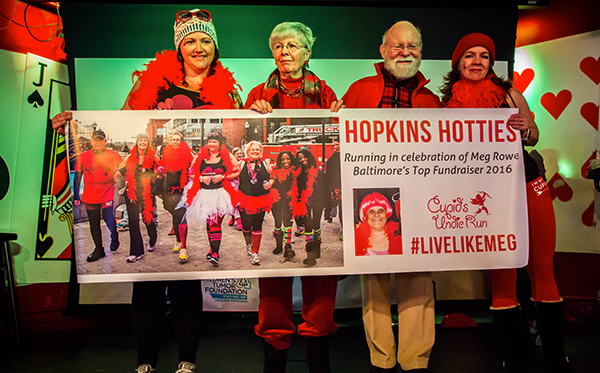 A lot of our participants know that they’re fundraising to find a cure, but what do we actually know about the disease? Here are some really great facts and statistics about NF pulled together by our friends at the Children’s Tumor Foundation. NF is a genetic disorder that causes tumors to grow on nerves throughout the body. 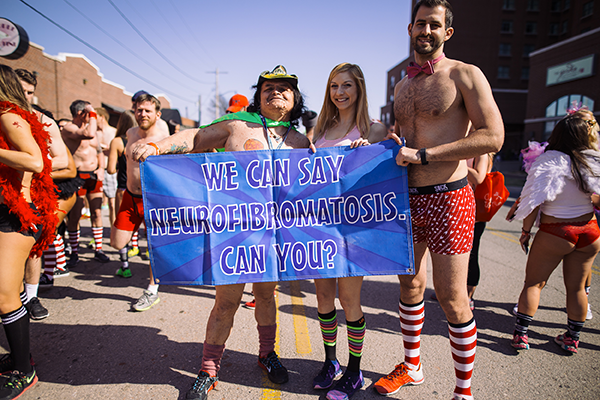 There are three distinct forms: NF1, NF2, and schwannomatosis. NF1 is the most common, affecting 1 in 3,000 people. NF2 is more rare, occurring in 1 in 25,000 people. Schwannomatosis is the most rare, affecting 1 in 40,000 people. NF affects more than 2 million people worldwide, making it more prevalent than cystic fibrosis, Duchenne muscular dystrophy, and Huntington’s disease combined. NF affects all populations regardless of ethnicity or gender. NF may lead to blindness, deafness, bone abnormalities, disfigurement, learning disabilities, disabling pain, and cancer. Half of the people who develop NF1 or NF2 inherit it from a parent. The other half develops it as the result of a spontaneous change in a specific gene in an egg or sperm cell. Every person affected by NF1 or NF2 has a 50 percent chance of passing the condition on to their offspring. NF research is shedding new light on several forms of cancer, brain tumors, bone abnormalities, and learning disabilities, ultimately benefiting the broader community, in addition to those living with NF.